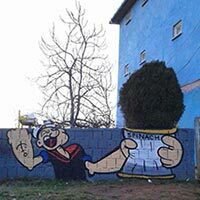 When I was kid, my parents told me that if I ate spinach I would grow strong like Popeye. It never happened, but one day I will tell the same things to my kids. It’s a tradition!